Each recipe widget we offer harnesses the scientifically-proven power of visuals to make your food blog or recipe blog better. 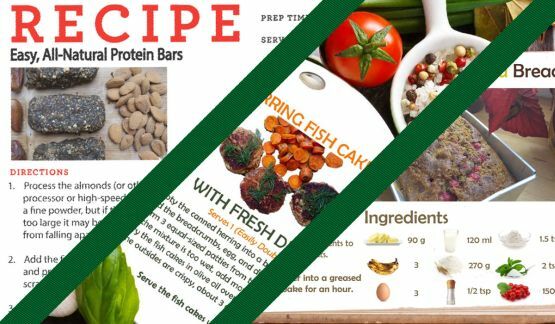 You can communicate your recipes' ingredients, nutritional information, cost, and more using a variety of eye-catching images, charts, graphs, and tables. Most of these recipe widgets are available in our WordPress recipe plugin as well. These results confirm the findings of another study published in the journal in February 2013, which found that just looking at pictures of food—particularly sweet or high-fat “comfort foods”—can improve your mood.4 In both cases, pictures of vegetables did not have the same effect. I guess nobody is truly that excited about a head of cauliflower in the crisper. Still, the power of food images is clear. If you often find yourself writing “it tastes better than it looks!” you might consider calling in spoonacular's ingredient visualizer for backup. Food photography pros, on the other hand, will benefit from the convenience of having ingredients automatically matched with the appropriate picture. Considering we have more than 1,500 ingredients (and our list is growing), this is a huge time-saver. Only 4% of responders said they never look. These 4% were also among the happiest in the group. Just kidding. But seriously, if so many people are looking at the nutrition facts, why are Americans still getting fatter? Do we just not care about what we see? What is going on here? Serving sizes aside, the “Nutrition Facts” label provides a lot of information without any visuals to support understanding. Our recipe calculator uses attractive graphs to present nutrition facts; it does not take long to see where most of the calories are coming from—whether fat or carbohydrates or protein—and you can also quickly see whether a food is rich in (or devoid of) vitamins and minerals. Maybe you use a calorie counting, food tracking app as a recipe calculator already. Great, but doesn't typing in every ingredient one-by-one for every recipe take a lot of time? Our recipe calculator widget does it automatically. Time is money, baby. Now, with spoonacular’s free nutrition visualizer, you can automatically calculate the nutritional information of any recipe and share it with attractive and easily understood graphs. Say adios, arrivederci, auf Wiedersehen to the old-fashioned “Nutrition Facts” label, and hello to the recipe calculator of today. Not a blogger? No problem! 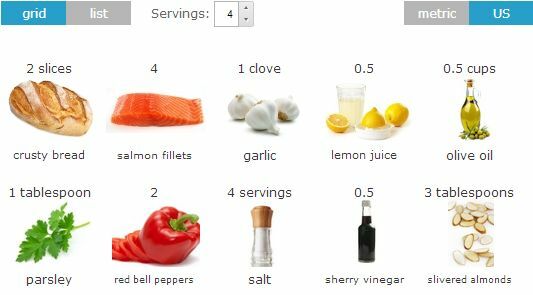 You can still use our recipe calculator to calculate the nutritional information for any recipe you want. Just visit the nutrition visualizer page and enter the ingredient list and number of servings. Hovering over a specific ingredient also shows you how the calories, fat, protein, etc. are distributed. Whether you're looking to boost your protein intake or reduce your sodium intake, you'll be able to see exactly which ingredients you should increase and which you should use sparingly or sub out entirely. Out of Technorati’s top 100 food blogs, 7 have words like “saving”, “deal”, and “cheap” in their name, and at least 3 others have a clear money-saving theme. If about 10% of Technorati’s top 100 food blogs are budget-conscious, there is reason to believe some of your readers are penny-pinchers, coupon-clippers, or sale-seekers. The spoonacular price estimator can help you show your readers how to eat delicious meals at home on a budget. According to the U.S. Department of Agriculture, the average American spent $4,229 dollars on food in 2011, and nearly 50% was spent eating out.6 Judging by the trend displayed in the graph below, Americans are going to keep cooking less and less. As a result, our collective waistline is probably going to grow more and more. Since “the decline in home cooking closely tracks the rise in obesity and all the chronic diseases linked to diet” 7, it is so important to go back to cooking our own meals and leaving fast food and frozen dinners behind us. Combine spoonacular’s price estimator with our recipe nutrition calculator and your readers will be able to find recipes that are both healthful and affordable. When we posted the three recipe cards above on spoonacular’s Facebook page, they created more “engagement” (post clicks and likes, comments, or shares) than any of our other updates. So it is really no coincidence that Pinterest is the fastest growing social media platform in history, and Facebook didn’t purchase Instagram for around 715 million dollars just for kicks. I’m sure most of you tech-savvy folks knew this already—I rarely see recipes shared on Facebook without pictures. But what if you gave your friends and followers more information instead of just a picture? After all, it’s no fun to click through to a blog just to find out the delicious cookies you just saw contain wheat flour, peanut butter, or something else you can’t eat. Pinterest already makes it possible to display the number of servings, preparation time, and ingredients on recipe pins to make finding the perfect recipe easier, why not do the same with the recipes you share everywhere? With spoonacular’s recipe cardmaker, you can automatically turn your recipes into super shareable recipe cards that are both beautiful and informative. When I made the recipe cards we shared on Facebook, I had to pay for the background images and use my amateur Photoshop skills to insert the main picture, ingredients, quantities, and instructions manually. Each card probably took me at least a half hour. 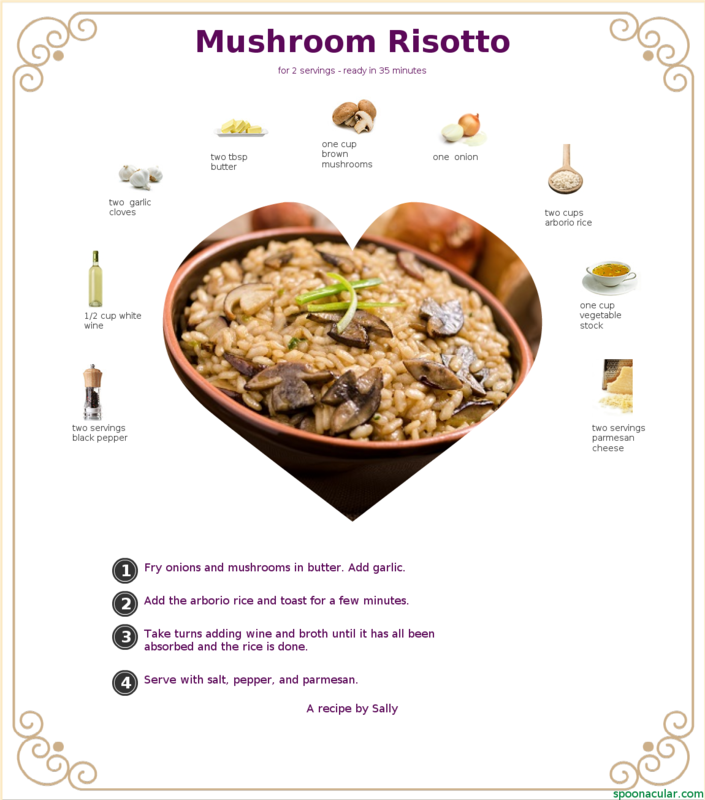 With spoonacular’s recipe card generator, you can create a similar card for free in seconds. Best of all, our automatically-generated cordon bleu recipe card was just as successful (in terms of Facebook engagement) as our manually-created cards. If you want to get more traffic, make your blog look better, and answer your users’ nutrition and cost questions before they ask them, spoonacular widgets can do this for you in 30 seconds. Click here for instructions on how to use any (or all) of the widgets in the spoonacular food blogger toolkit.  Remember, we also have a WordPress recipe plugin. If you have any questions or trouble installing the widgets, don’t be shy—drop us a line so we can help. Embry, D. (1984). The persuasive properties of color. Marketing Communications. Privitera, G. J., Moshaty, B. K., Marzullo, F. C., Misenheimer M. L. (2013) Expressing food through art: evidence for a nutrient-specific effect on mood. Journal of Behavioral and Brain Science. Privitera, G. J., Antonelli, D. E., Creary, H. E. (2013). The effect of food images on mood and arousal depends on dietary histories and the fat and sugar content of foods depicted. Journal of Behavioral and Brain Science. Borra, S. (2006). Consumer perspectives on food labels. The American Journal of Clinical Nutrition. Pollan, M. Cooked: a natural history of transformation. Penguin Press HC.